EWE Baskets Oldenburg extended two players. 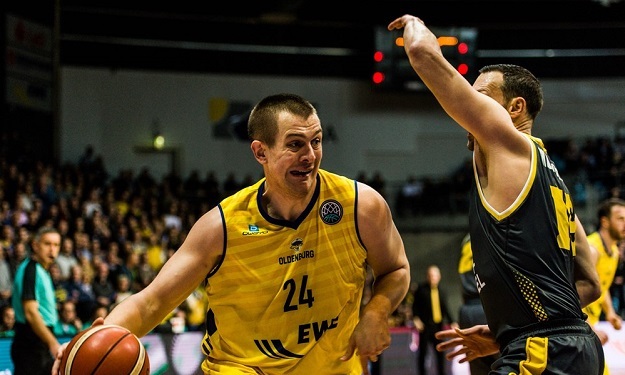 Rasid Mahalbasic will stay with EWE Baskets Oldenburg for one more season as the player’s agent announced it. The German team was busy as they also extended Haris Hujic until 2020, as the club officially announced it. Mahalbasic was one of the key figures for Oldenburg in their Basketball Champions League campaign as he averaged 12.3 points, 7.1 rebounds and 3.3 assists per game. On the other hand, Hujic was scoring 2.6 points per game in the BCL but with being 21 years old he is the future of the German team.